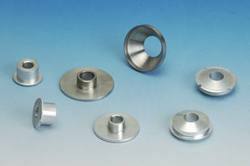 We are manufacturing gaskets from aluminium, brass and stainless steel material. We are manufacturing gaskets from high quality material. We are manufacturing gaskets heavy quality with precision and accuracy. Enriched by the vast experience, we are engaged in offering a wide range of Aluminum Gasket to the clients. With our expertise and trustworthiness, we are engaged in offering an optimum quality range of Aluminium Gaskets. Bestowed with the vast knowledge of the domain, we are able to offer our clients a wide range of Aluminium Gasket For Poy. 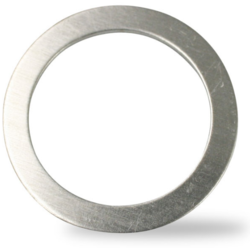 We are renowned companies of the market for providing the premium quality collection of Industrial Aluminum Gasket. We are offering Aluminium Gaskets for ceramic fire effusive application.